Virginia State Park’s mission is to conserve natural, scenic, historic and cultural resources of the Commonwealth of Virginia and to provide recreational and educational opportunities consistent with good stewardship of these lands, water and facilities that leaves them unimpaired for future generations. 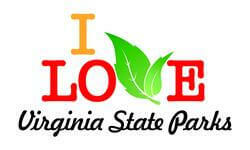 On June 15, 1936, Virginia became the first state to open an entire park system on the same day. The new parks offered modern outdoor recreational facilities while protecting areas with significant natural resources. The original six-park system has expanded to 33, with land recently acquired for additional state parks to be developed in the next decade. Each park has unique natural and/or historical resources that are carefully managed and preserved while providing a wide variety of recreational opportunities. Whether visitors enjoy boating, swimming, hiking, camping, or participating in special events or interpretive programs, Virginia State Parks offer opportunities for everyone to enjoy. Virginia State Parks manage and preserve natural and historical resources while also providing recreational opportunities, educational programming, and volunteerism opportunities to members of the public. These opportunities serve to increase the sense of community and help to make environmental stewardship a higher priority. Interpretive Members will develop and lead Environmental Stewardship programming (interpretive programs); develop schedule, promote, and supervise volunteer projects; contribute to trail improvement projects. The Virginia Service and Conservation Corps (VSCC) is an AmeriCorps program that places members in parks throughout Virginia. Members work with existing Division of State Parks staff in the preparation, response, and recovery from natural disasters as well as improving at-risk ecosystems both in the parks and the communities they serve.